It’s fairly well known that Japan loves it’s vending machines, but you don’t really appreciate how ubiquitous they are until you go there. It’s said that in London you’re never more than ten feet from a rat – well in Japan, the same is true of the vending machine. Of course, being Japan it’s not just soft drinks on offer; I’ve already mentioned the beer and whisky to be had, although alcohol machines are harder to find. You can find plenty of another one of my favourite tipples – coffee! 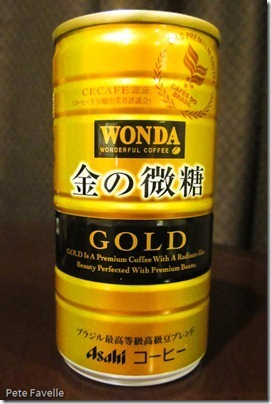 This is canned coffee and it’s most widely provided cold, as you might expect. However, in some machines you can also find hot coffee. What’s so unusual about that? Well, it’s not the messy, liquid-in-a-cup type of coffee vending we have here, but the same canned coffees stored and sold hot. 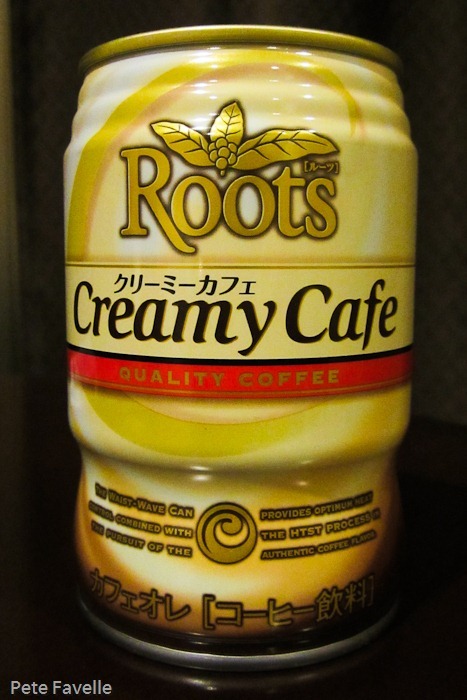 As with every form of liquid entertainment, coffee brands (in both hot and cold forms) are dominated by the usual suspects – Suntory, Asahi and Kirin all take a break from their fermenting dayjobs to provide coffee too, so how do you pick what to drink? The answer, of course, is to try everything. Every brand has a “gold” or equivalent, which is white and sweet and I managed to take notes and pictures on six of them, piping hot from the machine. 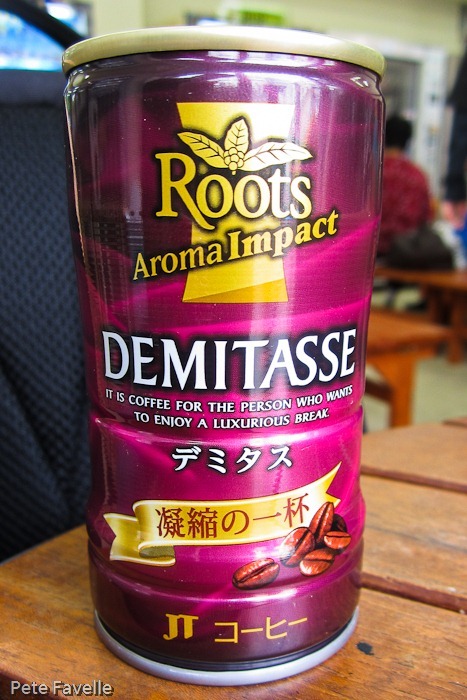 Sadly, Suntory’s “Boss” coffee brand eluded me on the occasions I had a camera and notebook to hand, so it doesn’t appear in this round-up. 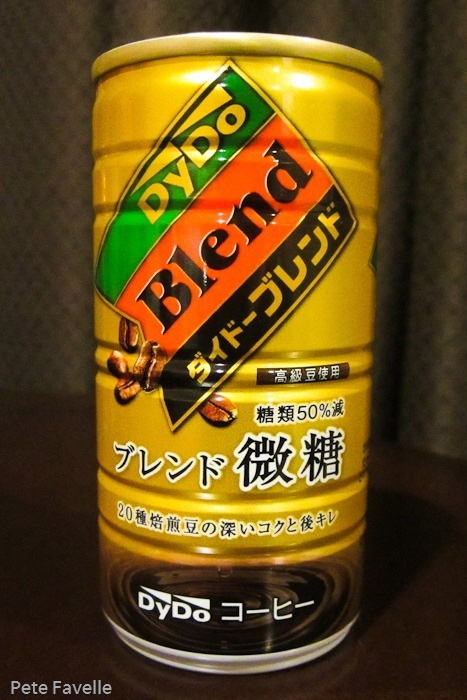 In reverse order then, my coffee drinkers guide to Japanese vended coffee! This brand didn’t seem as widespread as the others, and that’s probably not a bad thing. There isn’t much in the way of a coffee aroma – it just smells sickly sweet and milky. The taste is weak and watery – unpleasantly over sweetened, with very little coffee flavour but quite a significant bitter tail. In many ways, on a par with a British vending machine coffee! 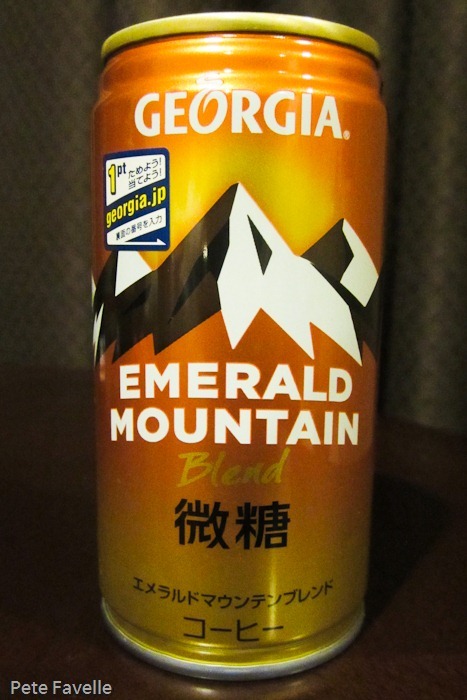 Georgia is actually a brand owned by Coca-Cola; they should stick to regular soft drinks. There is some coffee in the aroma, but it’s that stale, dusty kind of coffee that immediately puts you in mind of “normal” vending machine coffee. 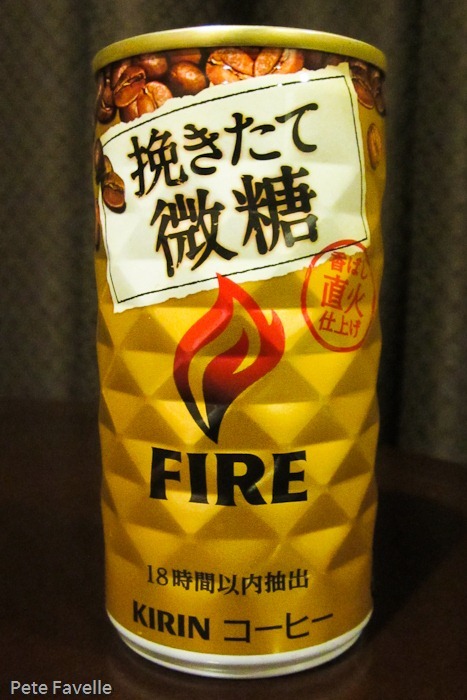 The taste does too – sweet and bitter but without any significant coffee flavour to it. Not great. Creamy is the key word here – lots of creamy sweetness in the nose, but the coffee is once again hard to discern. 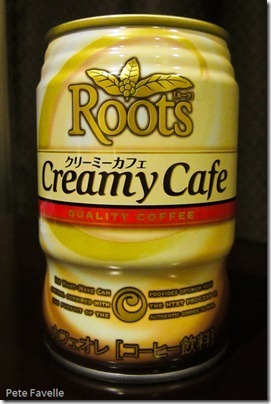 The flavour is mostly sweet cream, but there is at least a little coffee there too. Importantly, it doesn’t have that uncontrolled bitterness that the first two cans of this lineup do. This is Asahi’s contribution to the test. 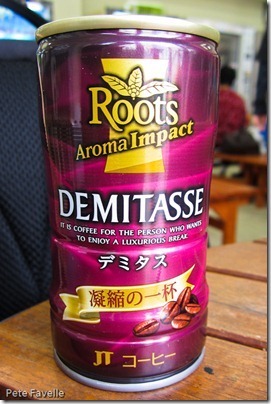 Finally, a coffee with a nice roasted coffee aroma, and not too sweet either. The flavour is decent too – slightly stale, but milky with a decent coffee flavour with a reasonable and pleasant, subtle bitterness to it. 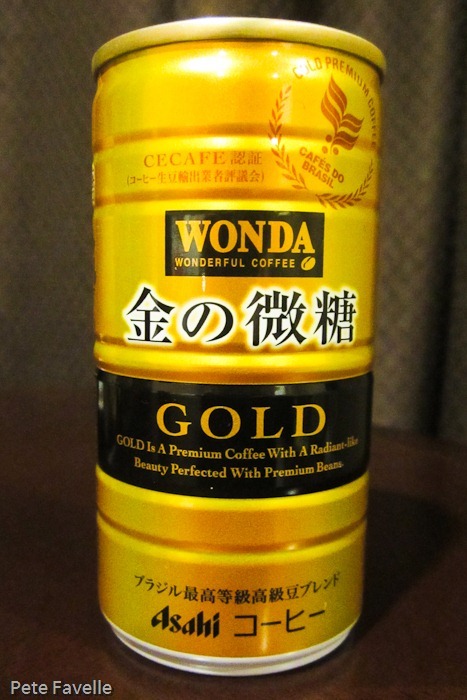 Not strictly their “gold” equivalent, but it’s hard to resist a coffee that declares itself to be “for the person who wants to enjoy a luxurious break”. I mean, if you’re going to have a luxurious break, it’s important to enjoy it. Sweet and almost creamy, there’s a rich coffee flavour here without any real bitterness to it – it’s rather like their ‘Creamy Cafe’ has had a nice espresso added to it. Kirin are the clear winners with this, and not just because it’s easily the nicest shaped can of the lot! The smell is full of strong, dark roasted coffee – almost burnt, with that ‘fire’ brand really showing through. The flavour, too, is rich strong coffee, with a nice burnt bitterness to it. 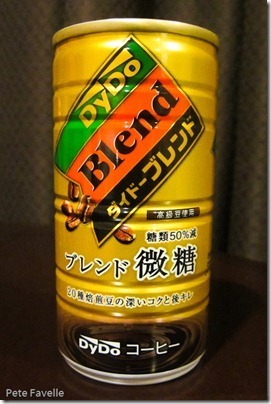 As with all the coffee it’s sweetened, but not too much. It’s simply a really nice, rich, roasted coffee. So there you go. 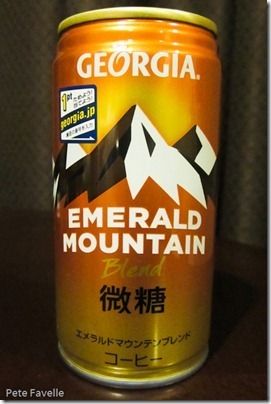 The next time you find yourself in Japan and gasping for a coffee – don’t go into Starbucks. 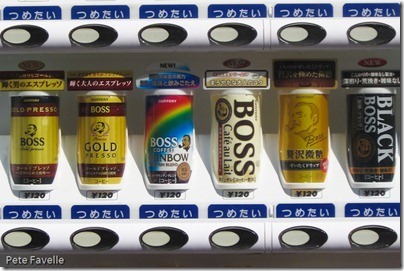 Head for the nearest Kirin vending machine! Great review. 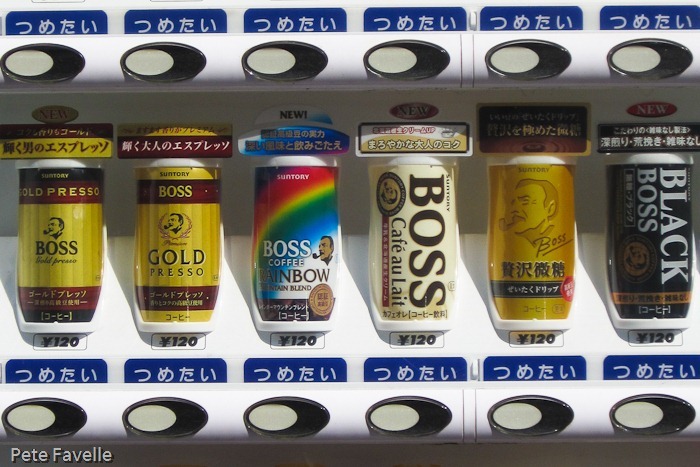 I have read in other articles about Japan’s fondness of vending machines that they have so many varieties of it in just about any corner. I’ve never seen coffee vending machines before but I think this is a good idea. There is something very disturbing about Tommy Lee Jones looming over you as you buy your coffee, however…!